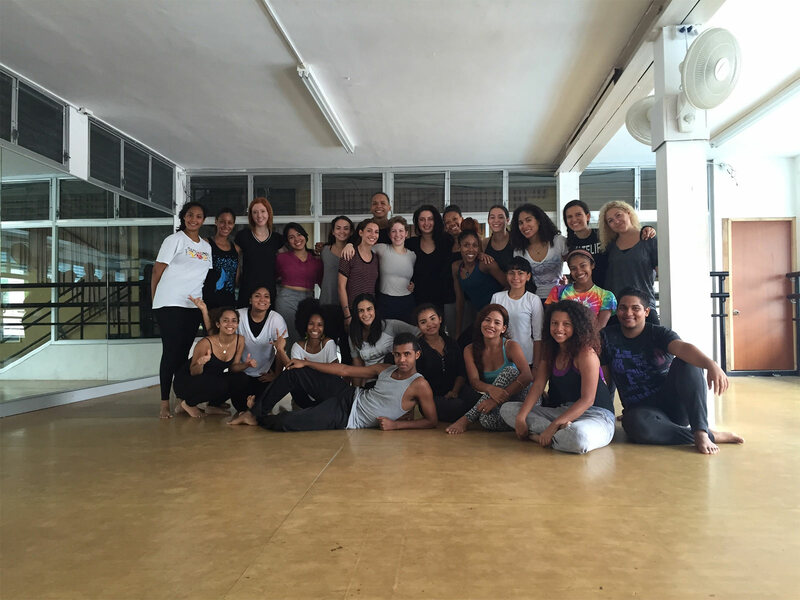 We began our day this Monday, February 29th, at 9 am with breakfast and a review of the different forms of dance that are prominent in Panama, centering discussion around the theme of global citizenship. We were about to teach class for students at the University of Panama and would then go to Malambo orphanage to teach younger kids and teenagers that live there. The university class was an improvisation class led by two other LMU dance diplomats that everyone had lots of fun participating in. The class began with a movement improvisation warm up, then a phrase was taught, and the class ended with an improvisation circle. It was awesome to see how well everyone worked together despite the language differences. Dance is truly a global connector. After the class, we headed to Malambo. Before we started class we had a tour of the orphanage, which definitely was an eye opening experience for us. To see and understand how these children live every day and how they really don’t get to leave the orphanage was a harsh reality for us to grasp. However, the kids were amazing in the classes and so eager to have fun and dance with us. They had lots of energy and loved to be sassy. I felt like today was much easier than the first day because we knew what to expect more and what kids respond well to and what they don’t like as much. We also had the chance to play with some of the kids that live in the “HIV house” and they were so cute. Overall our experience at Malambo was highly impactful for all of us and we are so happy we got to go back today to do a final show. They were such great performers! Awesome post Gigi! Panama misses your energy!